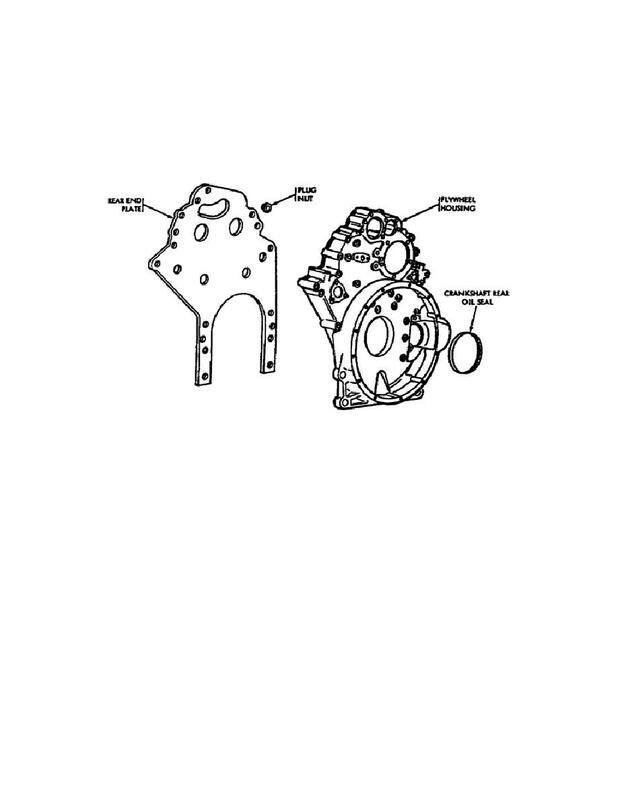 Home > Ordnance Documents and other related manuals > > Figure 9: Flywheel Housing And Rear end Plate. without removing the flywheel housing. a cylinder block change, you must remove the end plate. Flywheel Housing and Rear End Plate. near the top of the cylinder block, support the camshafts. The end bearings receive pressure lubrication. mount on the front of each camshaft.